As the land of fire, ice, Northern Lights, and cheap flights, it’s no wonder Iceland has become one of the world's most popular destinations. From 2000 to 2014, the number of foreign visitors has more than tripled, according to the Icelandic Tourist Board [PDF]. Unfortunately, a good portion of those visitors don't make it outside of Iceland's famed Golden Circle, which means they miss out on some of the most memorable experiences the country has on offer. Planning a trip to Iceland? Consider making time for some of these slightly-off-the-beaten-path adventures. 1. FLOAT NEXT TO A GEYSER AT THE SECRET LAGOON. For a no-frills, authentic hot spring experience, make a stop at the century-old Secret Lagoon, Iceland's oldest swimming pool (it opened in 1891 and began offering swim lessons in 1909). The Secret Lagoon is located right off the Golden Circle in Fludir, atop active geothermal grounds that naturally heat the water year-round. Adding to its appeal: It has an active geyser on the premises, which (safely) erupts every five minutes. 2. LEARN ABOUT ICELAND'S "HIDDEN PEOPLE" AT THE ELFSCHOOL. Elves, gnomes, dwarves, trolls, fairies, and other huldufólk ("hidden people") have long captured the imaginations of Icelanders. (According to one 1998 survey, 54 percent of Icelanders believe in the existence of invisible elves.) If you're looking to get up close and personal with the magical creatures—or at least hear the stories of those who have—check out The Elfschool in Reykjavik. Open year-round, the school hosts lectures and discussions about people who have come in contact with elves. You can opt to end your visit to the school with a private walking tour to one of the country's most popular "elf sighting" spots, located adjacent to the school. 3. EXPLORE THE DIMMUBORGIR LAVA FIELD. Dimmuborgir, located in northern Iceland, is an enormous lava field filled with otherworldly rock formations and volcanic caves. The site has numerous hiking trails, including routes leading up to the towering Hverjfall Crater, and might look familiar to Game of Thrones fans—it served as one of the main wildling campsites. 4. HIKE TO GLJÚFRABÚI, THE SECRET WATERFALL. Southern Iceland is home to some of the country's most beautiful waterfalls, including the mighty Skógafoss, Seljalandsfoss, where you can hike behind the falls, and a hidden waterfall few travelers know to seek out—Gljúfrabúi. Just a five-minute walk from Seljalandsfoss, Gljúfrabúi is tucked away behind mountains, accessible only through a small opening in the rock formation. You may get wet on your hike there—you have to cross a stream—but that temporary discomfort is well worth the awe-inspiring, secret spectacle that awaits you on the other side. 5. LEARN ABOUT OLD ICELAND AT THE GLAUMBAER MUSEUM. For hundreds of years, Icelanders lived in grass-roofed “turf houses,” designed to insulate against the country's harsh winters. Today, travelers can visit these traditional Icelandic homes at north Iceland’s Glaumbaer Museum, located right along the Ring Road. Depending on how much time you have, Glaumbaer can be a short (free!) photo stop in-between destinations, or a full-blown dive into a piece of Iceland's architectural history. 6. SNORKEL BETWEEN TECTONIC PLATES. Sure, you can hike between the Eurasian and North-American tectonic plates at Thingvellir National Park. But for a truly unusual experience, opt to snorkel through them. Guided tours take divers into the Silfra fissure, a navigable, underwater crack where the two tectonic plates are drifting apart at a rate of two centimeters per year. You won’t witness sea life on this snorkel expedition, but get your waterproof cameras ready for some of the most vibrant shades of blue you’ve ever seen. 7. GO INSIDE A VOLCANO. Geology nerds, take note: One tour company has actually made it possible for travelers to go inside the (dormant) Thrihnukagigur volcano. Visitors are lowered through the crater opening in a basket-like elevator, and are given around 30 minutes to explore the volcano floor. The tour takes five to six hours total, including travel to and from Thrihnukagigur. 8. VISIT GRÍMSEY ISLAND IN THE ARCTIC CIRCLE. For one of the most remote Icelandic experiences possible, consider taking the three-hour boat ride to Grímsey Island. 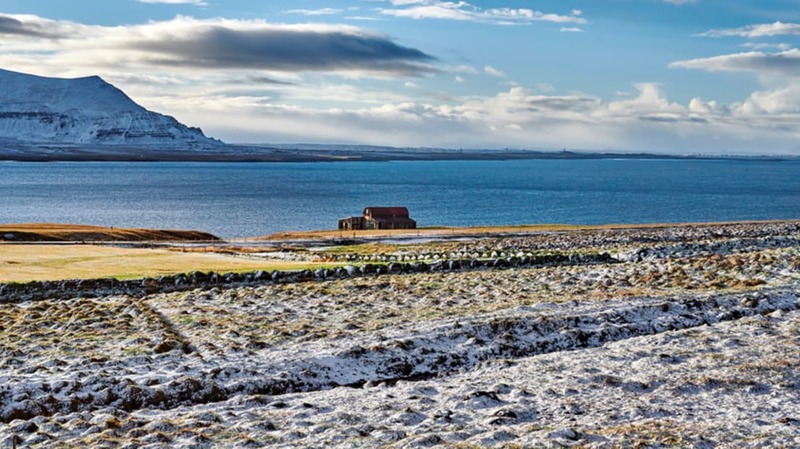 The only part of Iceland located inside the Arctic Circle, Grímsey Island is just over three square miles and home to fewer than 100 residents. But what it lacks in size, it more than makes up for in opportunities for adventure. You can hike, bike, dive, fish, swim, and, if timed right, view puffins and the Northern Lights.